I know what I like and I like Balbo Beard Co #3 Beard Oil, this gets my Golden Beard Award! Balbo Beard Co #3 Beard Oil is a blend of Sandalwood and Pure Sicilian Bergamot Essential Oils and I think the pairing is perfect! I always say that I like a product that is 100% natural and this scent combination sits on a base of Grapeseed, Jojoba and Argan carrier oils, so that’s perfect. I like a scent that is blended and balanced and again that is what #3 beard oil is. Bergamot is a pear shaped fruit that is like a cross between an Orange and a Grapefruit and it has warm, sweet and fruity scent, this blended with the warm and rich woody Sandalwood creates a scent that I think is damn good! The Balbo Beard Co #3 Beard Oil has a slightly heavier consistency and is easily absorbed into the beard, this trio of carrier oils left my beard feeling softer and gave it a slight hold. The carrier oils will also help to not only nourish the beard and give it a healthy sheen, but it will also keep the skin under the beard and the hair follicles in good condition promoting a healthy beard growth. It will also help to prevent beard itch and beard dandruff, which is important. Rhian who is the brains behind Balbo Beard Co has a real passion for what she does, I have messaged her quite a lot and she truly cares about her products and the people buying them. She also produces hand-made soaps under the name Magpie Hill Soap and soon we will see some Balbo Beard Co soaps becoming available. 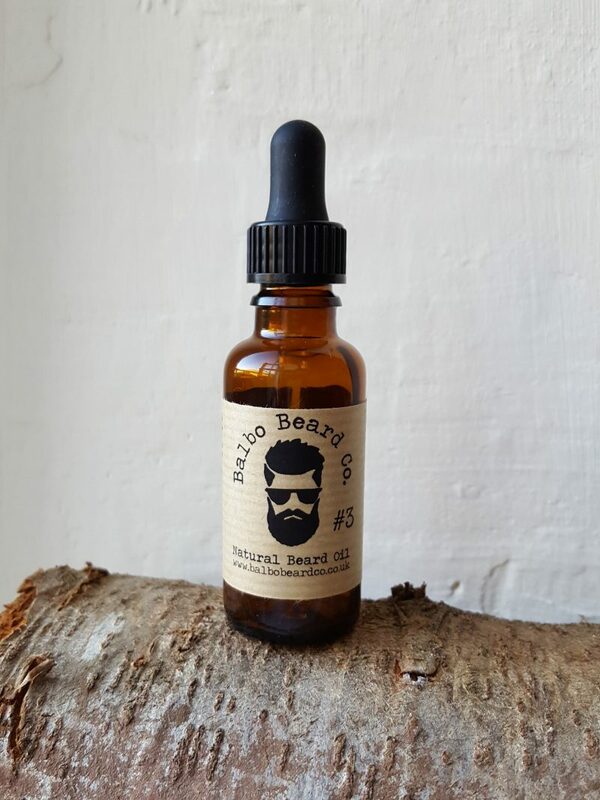 Balbo Beard Co #3 Beard Oil comes in a 30ml amber coloured glass bottle to prevent the UV light spoiling the oil, it is available from either the Balbo Beard Co website or from their Etsy shop for £14.99. The oils are also available as 10ml bottles or 3ml samples.